Issues with Windows 10 only showing 8/16gb. Change the spot of this if this is in the wrong arena first time here so not sure where everything goes. Ok so long story short i've got a AX370 k5 gaming Gigabyte Mobo. With 4 ram sticks all 4gb each by G.SKILL they are a DDR4 2400 set. Now my bios keeps wanting to reset everything back to default it does after a few days, bios reverts back to first version and such including when i manual set my ram my system reads all 4 slots are being used, my pc boots and such just fine, ive doneall the basic stuff and tests and even changing out where they sit with each other, tested each on their own they all work fine, including the normal memory test and such. Now im not sure how to use the BIOS correctly with this Mobo, Is there any reason why my hardware is reversed at 8gb and my system only using 8 out of hte 16gb? because im not sure how to fix it nor do i know how to disable the HDMI if there is or on-board graphics option. because my bios doesnt really show its using on-board setup or its enable but in the manual says its suppose to show their, now i know the board has two bios systems, could it be that the first bios is bad or? i could really use some answers on it would really help me out. So, my pc booted with with 16gb of ram now, but then it froze? and now its showing half agian. Anybody got any ideas why? Do you have the latest BIOS and AMD Chipset installed? I also added the Manual for your Motherboard that shows everything about your BIOS. ! This question belongs more in a Windows 10 Forum than here. I also would contact Gigabyte Support and ask them. Anyways, see if the above link suggestion is able to fix your problem. We do not have 4GB modules for AMD CPUs. The processors are designed for 8GB minimum. Could it be cause my motherboard only wants 8 sticks solid in each slot or? and would updating the chipset then Bios would that fix any issues i have? and how do i update my chipset? I've also done pretty much everything on there aswell. So. Im guessing either my ram really doesn't fully work with this Mobo, or its my bios. The ram Sticks are also have "intel" in their name, while i use AMD CPU My System is Ryzen 5 6 Core 1600, With an MSI 1050 TI GFX card, while using the AX370 K5 Gaming Mobo, I've also got 4 sticks of ram of G.Skill DDR4 Intel Z170/X99 Intel platform. Get the exact model number from all four RAM memory modules or if it is a set get the Model number for the set. Go to Gigabyte Support for your Motherboard. Go to the part the shows all the downloads for your Motherboard. There is a section about Memory/CPU compatibility. Click on that and see if you see your RAM Module model number listed. If it is not listed than it hasn't been tested to see if it is compatible. Sounds like you need 8 Gbytes RAM Modules to work and be compatible with your Ryzen CPU. Go to Gigabyte Support and open a ticket asking them if your 4 gbyte RAM Memory Modules are compatible with the motherboard and CPU. That is probably why G.Skill doesn't make 4 gbyte RAM Memory modules. But I don't see a reason why 4 gbyte RAM won't work with Ryzen CPUs. Maybe it will not be very fast or efficient but should work. I went to G.Skill and Corsair. The least amount of RAM is 8 gbytes for Ryzen CPUs. Here is a list of compatible RAM for Ryzen CPUs from AMD Support. : https://www.amd.com/system/files/2017-06/am4-motherboard-memory-support-list-en_0.pdf . By the model numbers, they seem to be 8 gbytes or larger RAM modules. Ignore the "intel" in the name. It just means it is compatible with Intel CPUs. If I were you I would borrow a 8 gbyte RAM module and install it and see if it reads correctly. If it does, then you probably found the answer to your post. BUT FIRST FIX YOUR MAIN BIOS. If you can update your BIOS to a fairly recent version, it may show the correct RAM installed. It is possible that with the 4 gbyte RAM installed it causes the latest BIOS to be incompatible thus it reverts back to the earliest BIOS. Install one 8 gbyte RAM and try to Reflash the BIOS with that RAM installed. If it doesn't revert, it means the 4 gbyte RAM is incompatible with the latest BIOS. Found out WHY your BIOS reverts back to F2. Your Motherboard has Dual BIOS. If the Main BIOS gets corrupted it then switches to the second BIOS as a backup so that you can repair the Main BIOS and still have a functioning Computer or according to the below post. The second BIOS will automatically repair your Main BIOS but with the original Motherboard BIOS. Your backup BIOS is the original BIOS that came with the Motherboard. Try reflashing your Main BIOS with the last BIOS that worked. Maybe the last BIOS before the latest BIOS. The last BIOS you flashed is either corrupted or not compatible with your Motherboard. I've only got 4 gb sticks only. No soils 8 stick only. So could it just me I need solid 8 gb sticks I stead of 2 pairs of 4 gb per stick? Cause i got 4 sticks all 4 gb each i do. I don't know if Ryzen requires 8 gbyte sticks to work correctly or not. I imagine it should work with 4 gbytes (just guessing, though). Probably the reason why the memory is not showing the full amount is because the BIOS is outdated and needs the latest version to be able to see the full Memory installed. Follow Plumboboy advice. He says you can use the 4 gbyte sticks. Just need to do a proper Update of your BIOS. This is not a god sign. Yous hould consult an expert as son as possible. It could be due to a malware. Clear your bios download & flash the newest chipset bios, with the ram you have on your main bios save it. When you load up get a fresh set of chipset drivers to match Gigabyte boards if you put a fresh bios patch on can be picky or revert back if you dont download the matching chipset drivers to help get the build to recognise utilize everything properly. Had it with an intel build on a Gigabyte board. Had 10 drivers over write my proper Bios chipset drivers. An idea is pause your 10 OS updates while your doing chipset bios drivers leave it for a few days & see if it saves if it does copy the bios for the 2ndary bios the Gigabyte board carries so if it drops again you dont loose your ram. Gigabyte Boards especically with bios flashes are tempermental. I have a preference to Gigabyte for Motherboard wise just little tricks you learn with them. And the bios copy would be in qflash right? Download the BIOS from your Gigabyte's Support for your Motherboard. your 4 gig sticks still shud act the same as 8gig per stick no diffrence. Yeahs its gigabytes Q flash off memory havnt touched a Gigabyte board for a bit none of mine have gone down lately. IF your board supports 4 sticks of ram equalling 4x4 should give you 16 should be no issues with ram you are using. I suggest a bad flash on 2nd Bios holding it up reading properly. pull the Latest most stable bios flash with Chipset drivers will be the only way to eliminate your issue. I suggest tho turn off any windows updates, flash your bios its risky but worth a shot, have motherboard chipset drivers ready to go, load up Gigabyte drivers first then manually update the rest of your chipset drivers threw Device manager manually as I suspect you might have picked up a dud Microsoft update throwing stability & build out. Another idea might be reset your board to fresh change your cmos battery as could be a dud, can happen sometimes not letting the bios recognise the ram as the cmos battery so flat it resets the values on boot, got a stepsons build doing it but havnt replace the cmos battery yet. I got do the cmos then reflash it to suit as its not running stable but I going do once a hard drive turns up & get some time. Can be something so simple throwing it out. I wouldn't suspect ram if its worked previously. cool hope it works just an idea as had intel builds do it in the past by update throwing out a bios in Gigabyte boards. So... I did all that but my bios keeps resetting back to f2. On any version. Of sure why now. And sorry for late reply been busy i have. I needed to delete my previous comment. Don't know why I mentioned to call MSI when the Motherboard is Gigabyte. Sorry.
. I'll see about the XMP 2.0 profile in BIOS. & Extreme Memory Profile (X.M.P.) (Note 2) Allows the BIOS to read the SPD data on XMP memory module(s) to enhance memory performance when enabled. Disabled Disables this function. (Default) Profile1 Uses Profile 1 settings. Profile2 (Note 2) Uses Profile 2 settings. I attached a PDF copy of your Gigabyte Motherboard so you can see and understand how to configure your BIOS. Click on the PDF Attachment and it will automatically download the Manual to your computer to inspect. if its gigabyte they have great support on these issues. Pay to dig out your motherboard specs & ask gigabyte about the issues. Does it carry a removable bios chip on the board itself like asrock boards do as if it does might be as easy as find a flashed updated chip to put in as replacement. Thinking could be fried bios or maybe & can happen dud ram. RMA it sounds like maybe faulty as if its not switching to the 2nd bios with ram its suspect Board issue. If you got a m8s desktop to test you ram in maybe an idea test you ram in another build if its registering properly RMA your boards. Sometimes in the machining where the ram sticks pop in can be faulty shorting the boards bios. Gigabytes fault is any short will revert the board to 2nd bios not allowing to get into the main bios bricking to a point. Had a frustrating experience before. Talk to Gigabyte or try 1 of my ideas to eliminate as much as possible before going RMA warranty route. Could be a bent pin on you APU causing that issues to can happen seen it before on intel & AMD builds not letting the ram recognise all channels. Cool hope Gigabyte have some answers or ideas tho if you been having troubles they usually prety good on RMA warranties they usually prety ok to deal with considering I heard a few diffrent stories of them over the years. Saying that I primarly use Gigabyte as first choice with asus a close 2nd behind. I wont touch Asrock as had bad experience with them & wouldn't touch MSI as all I have had been plagued with issues & know many having issues they were really hit of miss why now I stay away. Tho Gigabyte are a great brand good to deal with my past experiences so hopefully they help keep us posted tho if your struggling try my ideas I have suggested to try & eliminate issues. Ok, so i found another issue still waiting on gigabye to get back to me aswell.. My bandwith is only limited to 2133 for some reason, according to CPUZID, and the system checker via gigabyte's App center aswell. even tho the the "ram" says its 2400 speed, my system is setting itself at default 2133 everytime even when its all set in the bios, and such, its like my mother really doesnt like this ram what so ever. Im half tempted just to get the G.Skill Flare X set that the board works with, starting to think its my ram now at this point... perfectly good ram, and its being limited on its bandwith and such, side note, my bios has been staying at version F4. At this point im not sure anymore, idk if i should keep trying to update my bios one version at a time, or just get another ram set, and see if that fixes anything. Could be the issue tho be nice if you board would accept a new bios update without the need of new ram. Still I would try bios update without the hassle & $ of needing to go new ram route tho higher speed ram will net better benefits tho its the risk you take & how far your will & how much your willing to throw at it. well, my issue is the ram speed in CPUZID shows at 2132, the ram i bought says its a 2400 speed, bios/window shows all ram is working, and is accounted for but the speed is stuck at 2132 for some reason for bandwidth speed. Now my bios is at F4, should i just try to upgrade to next bios one by one? cause i had tried 1 shot from F2 to F22 which made it reset back to F2 currnetly it sits at F4 and has been for like 4-5 days now, but my ram speed is so weird and its stuck at 2132 evne tho its running speed of 2400 and shows it but CPUZID shows another number which is odd, now im not sure if its cause im missing XMP profile 2.0 for it not ot work correctly or my ram really isn't a set of 2400 like its suppose to be lol i might try updating my bios one by one next week after i let my system run on F4 bios for a little longer. Sounds like a good plan. Luckily your motherboard has a backup BIOS that kicks in the moment it senses a Corrupt or incorrect BIOS update. Updating the BIOS is probably the key as to why you memory is not showing correctly at the moment. Updating One by One will at least let you know what BIOS version is compatible with your memory and components before the backup BIOS kicks in. I does seem like the problem is with your RAM memory not being fully compatible with the Motherboard or CPU. But wait until you update the BIOS to the highest revision before it goes back to F2 and see if the memory is displaying correctly before purchasing another set of expensive DDR4 RAM. Could be a set those shady set of ram that had been sold a while ago I was told about. If your going to go the new ram route go for some higher frequency sets you might find a new set of ram, rated for your motherboard & for AMD builds your bios might stay stable enough to hold the latest bios & register your ram sticks properly. Even an Idea if you got any m8s with Intel builds sell them your sticks & with the bit of $ you recoup spend it on a better set of ram to suit your motherboard & APU. CPUZID is prety accurate I trust the values it posts so if its saying your sticks arnt true invest in a set of ram recommended by Gigabyte to suit your build & APU where your going to net the best benefit of the higher bandwidth which I assume your after. 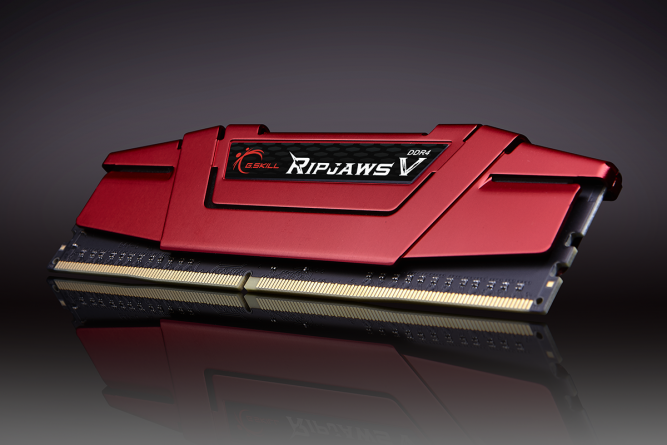 G.SKILL Ripjaws V Series 8GB (2 x 4GB) 288-Pin DDR4 SDRAM DDR4 2400 (PC4 19200) Intel Z170 Platform / Intel X99 Platform Desktop Memory Model F4-2400C15D-8GVR < This set is what i use. Might pay to go look for a better set of ram to run with your build I might suggest they probly will work ok with the ,atching bios but if your running into troubles & were thinking of a new ram kit I would try some new ram suited to your APU motherboard that may be a bit more compatible. AMD are picky on ram check with Gigiabyte with release notes on your bios what Ram is compatible with your build but if possible try find a bit better kit that may be better for a future plan & sell the kit your have to some1 with an Intel build that's mobo isnt so picky. I suggest get a faster set of ram with more bandwitdth that if in doubt can pull back the frequency so you got a good buffer zone. Might have picked up an odd set or dud set of ram who knows. G.SKILL FORTIS Series 16GB (2 x 8GB) 288-Pin DDR4 SDRAM DDR4 2400 (PC4 19200) AMD X370 / B350 / A320 Memory (Desktop Memory) Model F4-2400C15D-16GFT was gonna try this set since it was on their list that works with it, G.Skill said that the board didn't take this ram that ive got. So im really at a lost here. That is why G-Skill said the RAM memory you chose is not compatible with your Motherboard. I have attached a PDF from Gigabyte Support with all the compatible RAM Memory Modules for your motherboard using Ryzen CPU. Take a look at the list and see if you can find inexpensive RAM set from the various Manufacturers on the list. By the way, When using a Ryzen 5 1600 CPU, you need at least BIOS version F2 installed. I guess the original BIOS version was F1. So, its my ram then? Cause my bios version is F4 currently atm, So it really was the ram huh? It is a good possibility. I am just showing you the G-Skill RAM modules that are supposed to have been tested by Gigabyte to work with a Ryzen CPU and Gigabyte Motherboard. That Memory Compatibility PDF shows you all the Memory Modules that were tested to be totally compatible using a Ryzen CPU and your Motherboard. Memory not listed just means that it wasn't tested by Gigabyte to see if it works or not. Your best bet is to purchase the RAM modules on the PDF I posted to install with your Ryzen 5 - 1600 CPU. That is why I suggested you borrow a RAM (8 gbyte stick) from someone else that is on the list and install it. If it shows the memory correctly and you are able to flash the BIOS to the latest version. Then you know that it was your RAM not being compatible with your CPU or motherboard. I don't want to be responsible in making you purchase an expensive RAM set and then finding out you still have the same problem. That decision is up to you to decide. I would wait until Gigabyte Support responds to your Ticket concerning the matter and then decide what you want to do. Sorry, but I don't want to make the decision for you. I just try to give you as much information so that you can make an intelligent decision on your own. Whatever you decide, let us know. It will be good to know for the future if something similar pops up here at the Forums. Corsair is excellent. They have, as far as I know, a lifetime warranty. I bought a set (4x 4gbyte -ddr3) from my computer. after four years of my computer being on 24/7 only one RAM Module went bad. Corsair was going to replace it but they required the entire set to be turned in. I refused because I couldn't be without my computer for at least 2-3 weeks as the new Corsair Memory set arrived. So, I just purchased the identical Memory module but as a single RAM Module. Haven't had anymore problems. Good idea. Try updating the BIOS one update at a time until it fails. Then you know which BIOS is good for your Memory and Motherboard. It is possible you have a bad Motherboard. See what Gigabyte Support suggests if they reply or you are able have a Live Chat with them. I also flashed the bios. But all of the ram is showing now, but im still having half reserved alot are saying its a bios issue but my bios is up to date, been flashed and everything is reading correctly. so not sure if windows also prevents something for my GFX card has an option that prevents me using all 16 aswell on it. MSI GeForce GTX 1050 Ti DirectX 12 GTX 1050 Ti GAMING X 4G 4GB 128-Bit GDDR5 PCI Express 3.0 x16 HDCP Ready ATX Video Card Reposted the pictures aswell in attachments just incase. Not sure if you will click the links or not so lol. Double checked, its nothing with my card either, at this point its my ram. Pretty sure its my ram now, even tho my bios still reads 2400 speed, windows still reads 2133. So at this point ive come down to thinking its my ram, is there a Corsair set i can get, thats either 16gb (2 stick) or 4gb (4sticks to make 16gb total) I would like a corsair set that would work well with my Mobo/card aswell mainly mobo to fix this issue since i know my card has its own thing. Since its still limiting it to 2133 i think at this point in time it truly is my ram, just need a good ram set really is all. via Corsair atleast Bios is still at F22, bios but on where u would "check" the ram speed and such it shows 24.00 to 24.00 but lower part says 24.00 21.33 same for the other setup in frequency/memory setting. for profiles and such. Click on this link SOLVED: Windows 10 Won't Use Full RAM - Appuals.com . It will show you how to make Windows 10 use all the Reserved Memory that may be causing it to show less. It is a very good Website for Troubleshooting. This is the same link that I posted previously in another comment. According to your image, you have 8 gbytes of Memory in HARDWARE RESERVED. That is why you are showing only 8 gbytes of usable RAM Memory. Half is being used for something else. Found this at Microsoft Forum. Exact same problem you are having. Read through it see if it helps. No solutions were found though. WIN10 does not utilize full 16GB of RAM, 8GB hardware reserved - Microsoft Community. This is the same thing from Tom's Hardware Forum Hardware Reserved Ram 8GB! - [Solved] - Memory - Tom's Hardware . Here they indicate that memory is not compatible which is why it is not indicating the full Memory amount. Anyway, read through it see what you think of it after trying everything from the two previous links I posted above. Follow all the instructions and see if it fixes your problem. Then report back here again if it does or doesn't fix the problem. There a link this is under for the BIOS part? and i tried the results for first tow options, None of those seem to of worked. even changing out the ram sets and such. Wait, nvm i found the bios you were talking about. But yes, the rest of the ideas dont seem to work. Read this from Gigabyte Forum with the same problem as you: http://forum.gigabyte.us/thread/1099/ab350m-d3h-win10-16gb-usable . Here are four photos of your BIOS. Make sure your Primary Video Device is on "NB PCIe slot Video" and not "IGD Video"
Make sure under "Integrated Graphics" you have it "Disabled". This disables the Integrated Onboard Graphics of your Motherboard. Here is the last of the Memory Setting in your BIOS. My bios doesn't show the "intergtared" part of it tho. So for that part to show i have to enable the AMD CPU TPM? i think if i remember i had seen that i did. UMA Frame Buffer Size deals with Memory usage. Change like it shows in the image or something similar. How do i even load that up if i can only see the normal bios? It is either a BIOS or Windows Configuration, Faulty RAM, Incompatible RAM, Faulty Motherboard Memory slots. Try calling Gigabyte Support and talk with someone. See what they suggest. From what I see, Windows is reserving 50% of the total RAM Memory (8 gbytes) in HARDWARE RESERVES for some reason. I am stumped as to why. Ask at Windows ten Forum and see what they suggest. This is a BIOS/Windows 10 problem and not a GPU Graphics Driver issue. Possibly a Ryzen CPU issue though. Try and burrow 2x8 gbytes Memory sticks and see if it does the same thing. If it doesn't, then it means the Memory sticks you have is the problem. My chipset doesnt show that at all. OK, the BIOS I have for your Motherboard must be the Original one. Seems like the latest BIOS you have is very different than the one that came originally with the Motherboard. At least you finally have the Latest BIOS installed and is not reverting back to F2. That is good progress. I have installed on my Asus Motherboard, 16 gbytes of DDR3 (4 x 4 gbyte RAM Modules) and under Task Manager under Performance, it is showing all by 258 mbytes of memory which is in HARDWARE RESERVED with the correct Memory Speed Frequency. Yeah. At least its staying at f22. Now I guess I gotta find the right manual or something cause the bios seems to of changed? Cause all books are showing how its suppose to look. This is also what it looks like, now after i reboot "from the bios" it sits in a loop of a reset < for around 4-5 click overs? then goes to normal windows it does. Not sure if u can see that well the lightning was pretty bad from my phone. not bad, it is readable. Click on "CHIPSET" and "PERIPHERALS" at the top and take a photo in insert here. Looks like your Memory Speed is normal. Under the other Column it is showing 2400 and SPD 2133. So there is an Increase of Speed from 2133 (SPD) to 2400 (PROFILE 1). Click on "QVL" in the image. It will show you all the GIGABYTE MOTHERBOARDS that it is compatible with. Yours in not even listed. Thats what it looks like "currently"
You are correct, it has changed quite a bit from the Original version. Need to search every BIOS setting to see what it has. Only way to get familiar with the new version. Okay, I am burnt out right now, tired, and sleepy. I have no other suggestions. I am stumped until you try a compatible Memory in your computer. If it still shows the same, than it is a BIOS/Windows configuration, Motherboard, or CPU issue. Ya. I'm gonna get new ram next week to test it out. find some compatible ram I suspect its the ram by your postings I supect the ram is suited more for Craptel builds I would seriously flick it to some1 building a craptell rig & buy some compatible AMD ram. Either of those brands are really good & recommended tho make sure when you buy them pull the specs & make sure they will work with your board both great brands & recommended if you can get a set for your Ryzen, Ryzen specific you cant go wrong might correct you issues as Gigabyte boards get picky with ram with AMD builds seen it before had it with Craptel to. Im not gonna jump to anywhere yet, Untill i can buy another set of ram for this setup. I might get a Skill Fortis set i will which is built for AMD. and is in the list for my board. The ram set below is what was also shown to me. Reinstalling Windows has no effect on BIOS. BIOS is firmware. The only thing that will affect BIOS is removing the CMOS Battery and shorting out the contacts. This will reset BIOS to "Default" or by resetting BIOS from BIOS itself. Nothing will affect BIOS unless you specifically updating or downgrading the BIOS using a special BIOS program. Tempted to reinstall windows to see if that is my problem. But im not 100% sure yet honestly. I also realized, that a link you sent abit ago well, several posts back had the corsair vengeance set i was looking at, alot said it worked for this board. cause one of hte ram sticks for hte LPK, from Corsair works in the latest memory list for AMD builds. Glad to hear it was incompatible RAM was that causing all your problems. See if you can sell the old RAM on Ebay or Amazon to help pay for the new RAM. Seems like Ryzen does need the correct RAM installed for everything to work correctly. nice to help. Nice all of our advise has helped & got you up & running. A good moral to building AMD builds buy ram to suit build AMD/ Intel. That's going to be my method when I build my Ryzen up for my next build. You may get the odd lock up here or there & a bit of hang till 10 stabilises. Pay to be regularly doing a Disk clean up & regular registry cleaning by use of cc cleaner which I do with all my builds getting it to run stabile. Do you use it regularly do you leave it running all the time or start up/ shutdown when you use it. Most my builds with my stepsons stays on 24/7 apart from mine. If you can leave it idling away for at least a week 24/7 with you using it even give it a push under load test your 16G or a ram good usage & teave it running as your normal part of life, mine just had monitor turned of idling away on high preformance power mode, I doesn't use much more power, My Cpu fans are set to active cooling & only spools up once in a while. Temps dont creep much for an old sandy i5. Tho with Ryzens going be my fun build. Cool good luck to you hopefully was the issue all along. my build is mainly for gaming. And my pc runs from 6 to 14 hours depending on my days off how busy i am and working. So for me its nice and smooth. It only locked up on a game I was toying on so not to worried but other games are running hella good. And from seeing the blocked stuff that u seen in the picture. It seems my os was acting up with my ram which caused issues so im glad its fixed for now. And ya i gotta remember to keep it fairly cleaned up. So im glad i got the new ram finally. Showed it was my ram issue fully. Yeah 10 is very picky on junk ram I found it with a few builds over the years laptops to desktops same with harddrives to. I know I will be p[icky on my ram when I am ready to build my Ryzen. Just waiting fo prices to drop even ddr3 ram is still worth good $ atm. Cool to see you up & running for your gaming build. Ifs its running happy now expect it to get better, the next let of bios drivers will resolve alot of issues. well...its happened again after a week and a half... So...***? What is the Fing issues with it? do i gotta try and redo windows when im on my day off now?... Great just when i thought it was working fine this happens. Sigh. Edit: I shut the PC down brought it up in BIOS to check, no settings were changed everything still showed the same. So i booted it back up and now it shows normal? like...*** man. So it seems the motherboard needs an update? yet the current update on teh site is F23d < Meaning its currently in beta... SO im wait till its out of beta then update my motherboard. also the ram speed wasn't changed just the ram was being reserved i might try reinstalling windows on my PC on my next day off. Be windows issue thinking of the issues. I was forced to do 1 on my boys build with the newest update forced my hand tho i rolled with it as nothing to loose nothing to gain. Tho i switched from a Nvidia card to AMD card with newest 10 update & 18.4.1 drivers & fixed an issue with a build i had elimiunated everything hardware wise now. Got it down to 10 & drivers tho its the most stable i got it since it was rebuilt. Bit annoying tho i scored a R9 for next to nothing in good nick. 10 been really iffy in diffrent builds i got. 1 my stepsons has been no troubles mine had been hit of miss till now tho mine been paused as its stable & dont wanna open pandoras box again. Yet 3 on diffrent builds all on 10 2 been behaiving well 1 been a pig till now & my 4th i am waiting to decide what i do. All OS installs are on ssd which does make a diffrence. Going from experience wont touch nvidia ever again phased 3 cards out now 1 to go. My plagued build I know was drivers from 10 Nvidia issues till now. I suggest a full fresh 10install then go from there. So..I updated my BIOS. But it still shows half ram, could it be that i need to update windows 10 with its latest update? Not sure if i should do it, heard alot of issues come with the new update i was told. Update: Updated bios, changed settings in bios. everything on PC is updated, including latest update for Windows 10. And my graphic drivers are updated, and ram still showing back at half. So now i have no idea what to do. Im legit just lost now... was working fine and everything now this.. If that's the csee how come it worked fine till the mobo needed an update? I don't feel like buying a new mobo...I may have to wait till July and just use half my ram till then. I could try setting it all it auto... everything else people say its a mobo/bios issue thing. I hate getting did. Means i would have i get the same mobo some again and reupdate the bios again probably. Zzz this is so annoying. Well, nothing seems to be working period, seems like i do have a dud mobo after all probably. Guess i wont know until i can buy a new one... that wont be for awhile either. Ohwell. Guess i'll have to stick with it for time being.